Casinos aren’t typically the first place you think about when trying to minimize your environmental footprint. However, with thousands of casinos strewn across the country the collective impact of the buildings is immense. To respond to their customers concerns, some casinos are now implementing progressive changes to make their buildings more environmentally friendly. From purchasing “green” products for their casinos to building state-of-the-art LEED certified casinos, the gambling industry is zooming forward to provide their clients with enjoyable gambling that doesn’t come at the cost of the Earth. One Las Vegas casino showcases this new-found attitude in the gambling industry. Mandalay Bay Resort and Casino recently announced plans to expand their resort, which is already among the five largest casinos in the United States. The convention center expansion is planned as a LEED certified facility. During construction, builders plan to incorporate reclaimed materials, recycling 80% of all convention materials. Additionally, the building will include solar panels on the roof, further reducing the casino’s energy reliance. According to designers, the casino will generate power equal to that used by 1,3000 homes. Other new casino launches that feature “green” building techniques are forecasted to follow. Rivers Casino in Chicago recently achieved LEED Gold status. The casino sports features such as LED light fixtures, low flow toilets, and onsite storm water treatment. Casino owners hope that the upfront investment will not only attract new clients, but also save on long term operating costs. There are other ways in which casinos are reducing their reliance on waste. For example, one company, EGM Green, specializes in producing casino tables that comply with LEED standards. This company also dabbles in creating other types of environmentally friendly casino products, such as chairs for slots machines and bars. Though casinos are taking different tactics, it’s clear that these new LEED certified casinos give gamblers more options than ever. Additionally, maintenance cost savings give owners extra incentives to seek LEED certification. It remains to be seen if the majority of casinos will continue this trend of “going green”. For many years, large casinos throughout the world have catered to the wealthy Japanese “whales” who have established a reputation as the biggest gamblers in the world. Casino gambling is illegal in Japan forcing those who love the games to seek outside destinations. Perhaps, that is all about to change. The gambling industry has become a reliable way for governments to raise revenues. Macau is a great example. Japan has been selected to host the 2020 Olympics and finds themselves in need of capital for infrastructure needed for the games. The Japanese government is now considering a major change to the country’s casino gambling laws and every major casino operation in the world is ready to jump in with a lucrative bid. Boyd Gaming’s CEO Keith Smith surprised many investment analysts when he indicated his organization was interested in becoming a player in the Japanese gambling market. While he cautioned everything was preliminary, he indicated that he thought Japan offered a great opportunity to grow the business and improve the company’s stock price. He commented on the lost opportunity the company suffered in Macau due to the size of the company at the time, but he feels they are now better prepared to make a major leap. time. To date, many of the large casino operators have begun lining up financing and showing serious interest in the Japanese market. MGM Resorts International, Las Vegas Sands Corp., Caesars Entertainment Corporation and the Malaysia-based Genting Group have all expressed substantial interest in gaining a license in Japan. Las Vegas Sand’s Chairman Sheldon Adelson implied he was willing to bid whatever it would take in order to secure an exclusive gaming license in Japan. If Japan makes the decision to legalize casino gambling, they will need to move soon. The Olympics are only six years away and there is a lot of work to be done. Of course, they certainly won’t have trouble raising revenues from gambling licenses. The closing of Atlantic City’s famous Atlantic Club Casino Hotel is just the latest in an overall decline in the once bustling casino activity in Atlantic City, New Jersey. Struggling after the staggering effect Hurricane Sandy had on the city’s economy, this latest strike to the knees of the casino industry has many people wondering what the future holds for gambling in Atlantic City. Assistance was offered to casino employees through their union, who helped the workers apply for unemployment benefits, food stamps, and other services. The Atlantic Club, once a hot spot for such entertainers as Frank Sinatra, found it hard to keep up with larger, more modern casinos such as Tropicana and Caesar’s Palace. The larger casinos, with vacancies of upwards of 2,000 rooms, make it difficult for classic hotels such as the Atlantic Club to compete with their 800 room capacities. Modern amenities (like popular night clubs) encourage vacation-goers to choose the larger, more popular hotels, leaving clubs like the Atlantic to fall into obscurity. The online casino PokerStars, as they fought for rights to operate within New Jersey boundaries, planned to purchase the Atlantic Club. The website funneled $11 million into the failing casino, though faced licensing problems with New Jersey government officials. For an online gaming company to operate in New Jersey they must also be paired with an actual brick-and-mortar casino. No other online casino chose to attempt to pair with the Atlantic Club, though many speculated that this may happen. A great casino always gives back to customers what they have given in one way or another. This approach to customer service is part of the foundation of the approach taken by Fantasy Springs Resort and Casino. As part of this mission, they are creating a holiday promotion that is being known as a 100 percent Payback Weekend. During this time, players can be fully engaged with a huge amount of potential when it comes to fun and winning big. The major draw for players is that free slot play is raising the stakes. Players will be reimbursed 100 percent of any losses that they suffer during this special promotion. Gamers can play like they never have before, cashing in on only fun and success. Anyone participating in the event must maintain at least $100 minimum in play with a maximum bet of $1,500 as the events take place. Any payouts that players take home will be distributed over a three-month period in three equal payments. There are plenty of other holiday promotions that are drawing the attention of players as well. Among the most popular games hitting the floors of Fantasy Springs Resort and Casino is the Wreaths and Cash Giveaway. This contest offers players as much as $12,000 in potential winnings. This game is also appealing due to the fact that it will be giving away a portion of $3,000 every 30 minutes to guests who are getting in on the action. More than cash is being put on the table at the Fantasy Springs Resort. They are also holding the Be Bold BMW Giveaway that is putting up one of the latest 2014 models to roll off of the factory floor. Anyone who is a member of the Fantasy Spring’s Players Club will have free access to all events. They simply need to swipe their member cards at the entrance kiosk for fast and easy entry. There is also a special Christmas giveaway that lasts for a tantalizing 12 hours. During this period, $20,000 in prizes and cash will be up for grabs. When casinos experience success, the name of the game becomes expansion. Such is the goal for Century Casinos Incorporated. This company has been working hard to build its name as a gaming standard in countries all over the world. They are an international casino entertainment company that owns and operates many subsidiary gaming businesses. 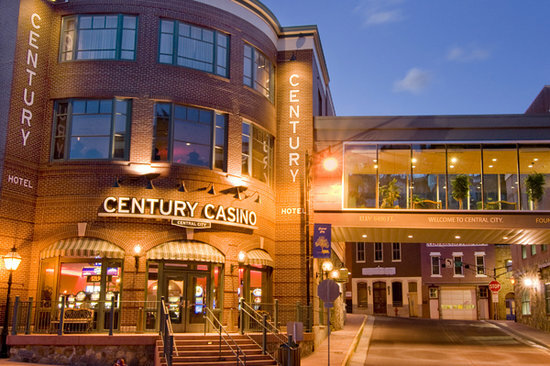 Among the establishments owned and run by this firm are Century Casino & Hotels. This venture has two locations in Colorado within the United States. The operations call both Central City and Cripple Creek home. Additionally, they have a well-established presence in Canada as well. Their games and amenities have been well-received in Edmonton and Alberta. This company is spreading its wings thanks to investments made by one specific subsidiary owner, Casinos Poland Ltd. This partnership is allowing for the development of a second casino in addition to the already established casino in Warsaw. Casinos Poland Ltd. is a subsidiary partner that owns 66 percent of Century Casinos, making them a considerable force in the business. At this point in time, Casino Poland is already operating nine different venues for Century Casino in major metropolitan cities all across Poland, making such an expansion in Warsaw virtually inevitable. The effort is targeted at improving their standing in Poland’s main gaming market. Former locations have been less favorable in this respect. However, the new venue is taking advantage of prime real estate. The business will be opening next to the city’s primary train station and be adjacent to a busy shopping mall as well. This casino location is projected to receive a substantial amount of foot traffic, engaging gamers who may not necessarily take the time to become patrons at out of the way locations. The new operation is featuring over 30 slot machines and four different gaming tables. The venue will also be equipped to handle live music and special events of all kinds, enticing the community to take advantage of the space for all sorts of local galas and soirees. The venue is expecting to double the amount of games that it will be offering over the next six months of operation. TORONTO-Canada has been involved in the online gambling scene for three years now and counting, with the now legalized online gambling spreading into all provinces of Canada. Canada has never regulated online gambling since its introduction in 1990 except for restricting gamble sites to be hosted within Canadian borders. Users of online gambling sites exchanged money online without issue, causing local governments to recognize the potential profits they were allowing to slip into other nations. In 2010, Canada launched its first online, and regulated, gambling site PlayNow.com. The site was the first of the nation to include many forms of online gambling including casino games, the ability to bet on sporting events, and even bingo. After showing excellent results, other Canadian provinces following through with their own online gambling sites. Even through the success of their hosted online gambling sites, the Canadian government still does not regulate online gambling outside its borders, unlike many other countries. Sometime in 2013 Ontario is expected to join the online gambling game. This will now give majority citizens of Canada access to locally regulated online gambling games. With details still hidden, it is expected that, by the end of 2013, residents of Ontario will have access to online lottery tickets, sports betting, and bingo games. Many of the provinces of Canada have a networked connection between the online gaming servers. This allows players from all provinces to connect together in their online gambling, leaving any taxes or other regulations to be processed by the user’s province. Even with the success of some province’s online gambling sites, this has yet to convince many of Canada’s provinces to join in on the online gambling trade. Many provinces such as Nova Scotia, Newfoundland, and Labrador have announced they have no interest in operating their own online gambling site, or have stalled any efforts to do so. Canadian laws and regulations still allow citizens to gamble online in other provinces or even other countries, as there are still no regulations to where a Canadian be allowed to gamble. There is no federal regulation of Canadian gambling as of 2013. All regulations still remain on a local government level. The United Kingdom online casino market is a vibrant and growing industry. Brits expect the best services and most exciting games when they play online. Casino UK, a phenomenally successful online casino, is relaunching its website with exciting, brand new features. The website’s progressive jackpot is over three million pounds and growing! It offers “instant play” and free downloads. Gamblers who access the homepage can make quick downloads and be playing almost instantly. Countless players have already experienced what Casino UK has to offer, and now they can indulge in several new attractions. The website has a beautiful, all new design that will make it even more user friendly and well organized. Even longtime players will be amazed by the website’s revitalized look. Those who are new to the website have the added incentive of being able to earn new bonuses. They will receive up to 100 credits after their first deposit and up two fifty credits each for their second and third deposits. The number of games available has increased as well. There are now over six hundred new games to choose from. Examples include The Dark Knight (named after the blockbuster film), European Blackjack, Leagues of Fortune, and Premiere Roulette. Withdrawing and depositing funds has also been made easier. Players can make transactions quickly and efficiently, giving them more time to enjoy the games. Anyone who is interested should visit www.casinouk.com (or m.casinouk.com for mobile). With online gambling, anyone can experience the thrill of winning the jackpot. Email and live chat are available twenty four hours a day, seven days a week to support users by answering any questions that they may have. The company can be reached 24 hours by chat, e-mails and phone at 8007-314-2 95 in the United Kingdom. As an anemic economic recovery drags on, UK residents are increasingly susceptible to distractions that could turn into addictions. With the emergence of the online gaming industry in the UK the usual barriers to wagering have fallen away. In the past, wagering was limited to sporting events, but with passage of the 2005 Gambling Act personal computers and smart phones have become electronic surrogates for casinos and bookies. The increased ease of access to gaming and wagering in the current economy is believed to be one of the reasons for an increase in the number of people seeking treatment for gambling addiction. While men represent a percentage of this increase, the lion’s share is made up of women. Close to half of these women report problems with online gambling compared to a third of the men. In Ireland, women used to make up just 4 percent of people seeking help for gambling addictions, but over the past several years this has increased to 20 percent – a shocking five-fold increase. Many of these women have professional careers and choose gambling over drinking because of the ease of access, lack of hangover, and relative invisibility of symptoms; however, these advantages dissipate as economic ruin begins to shred the problem gambler’s life. Many of the women seeking treatment are single parents or living on their own and often have a history of domestic abuse or traumatic relationships. The women who seek treatment are faced with a difficult road ahead aside from any history of abuse or being a single parent. In addition to the ease of access issue, gambling advertising has been cited as a significant barrier to recovery. When abstinence is part of the treatment program, adhering to this prescription is almost impossible when commuting to work, visiting shops, relaxing in front of the television, listening to the radio, or checking email. The adverts are everywhere in the public domain. Problem gamblers are also a thorn in the side of the online gambling industry for several reasons. Problem gamblers are a significant source of fraud as they desperately chase losses. Additionally, any hint of industry exploitation of problem gamblers for the sake of profits would be a public relations nightmare. Unless the industry is able to reign in problem gamblers on its own political leaders may be forced to enact more restrictive gambling legislation, something the industry fears. Two economists who studied federal corruption rates for the period from 1985 to 2000 have concluded that, as the number of legalized state casinos increased during that period, so did the number of criminal convictions based on charges of corruption. According to their analysis, the apparent corrupting influence of casinos in those states had been at work for up to two years before the casinos were legalized. The two researchers claim that, in addition to the positive correlation between the casinos and corruption, the casino industry is actually attracted to certain states where a “culture of corruption” is already in place. According to their proposed theory, the casinos are able to use “regulatory capture” to their advantage. Regulatory capture occurs when a governmental agency, created for the good of the public, instead works in favor of the groups that it was charged with regulating. The study apparently cites numerous examples of state regulations, originally created for the purpose of limiting casino revenue, that were “relaxed” by states after the casinos opened. To detect patterns of corruption, the study used an advanced statistical technique named Granger Casualty Analysis to examine data from the U.S. Department of Justice for all 50 states. Results showed that 4 of the 5 states with the highest annual corruption rates were states with casinos. Mississippi led the list and was followed by Louisiana, Illinois and then South Dakota. Of the 5 states with the lowest corruption rates, none had legalized casino gambling. French gaming site PMU has recently released a commercial depicting the JFK assassination with a humorous undertone. The commercial itself is controversy and has been deemed “tasteless” by many Americans – especially because this year marks the 50th year anniversary of the assassination. The intentions throughout the commercial are clear, including the dated car and the policemen who are wearing “Dallas Police Department” uniforms. The two men are on guard at the parade. One turns to the other and bets the guy that he can spin his gun around his finger three times just like a cowboy. The other guy takes that bet. As the gun fires, it shows the bullet ricocheting off a mailbox and popping a kid’s balloon. It then shows Mrs. Kennedy running out of the back of the car. She’s wearing a pink dress and pillbox hat just as the real Mrs. Kennedy wore on the day of the assassination. As people look at the two officers, they point upward to where Lee Harvey Oswald would have been and blame the whole thing on that. The commercial then asks the simple question: “You like to bet?” The PMU logo then flashes to attract people over to the website where bets can be made. The PMU commercial was released by marketing agency Publicis Conseil. They were not available for comment. Many people have taken to the comment boards to call the ad completely tasteless and sick not only because of the timing but because it infers that John F. Kennedy’s assassination was as a result of two police officers who were making a bet to see if one could be like a cowboy. PMU offers a variety of online betting options, primarily targeting sports betting. The company has yet to comment about their commercial, though it has certainly gotten attention. Whether it is attention that will hurt or help their business remains yet to be seen. The video, however, is almost impossible to find online now, which many believe is because the marketing agency has taken it down because of the negativity that was received around the globe.